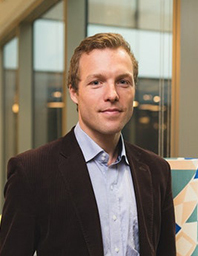 Sebastian Steinhauser is CEO of Parcelly (www.parcelly.com). He is accountable for the concept and management of one of UK’s most innovative omnichannel logistics start-up’s, converting redundant space in businesses and private homes into carrier agnostic parcel storage capacity. Parcelly’s award winning mobile application, allows consumers to collect and return their online purchases when and where it is most convenient for them. Sebastian has spent 7 years in London’s City with some of Europe’s leading financial institutions supplying financial solutions to institutional Investors. Prior to his career in London, Sebastian gained experience in different strategic positions in Germany and France where he obtained a triple accreditation in International Management.